Ramona's life changes the moment Howie Kemp's mysterious uncle arrives from Saudi Arabia. Howie and his sister, Willa Jean, talk only about Uncle Hobart. Ramona's mother makes secret phone calls and stops eating dessert, and Aunt Bea is hiding something, too. Whatever surprises are in store, Ramona is determined to be happy and helpful. Whether she's pleasant or pesty, brave or blunderful, she's always wonderful Ramona - forever! But life really spins out of control when Peter and his family meet their long-lost relatives, the Howie Hatchers of Honolulu, Hawaii. Not only does Peter have to deal with the Natural Beauties, his annoying twin cousins who burst into song at the drop of a hat, but also their weird little brother. When Fudge discovers he's not the only Farley Drexel Hatcher in the world, look out! Can Peter handle seventh grade plus a double dose of Fudge? 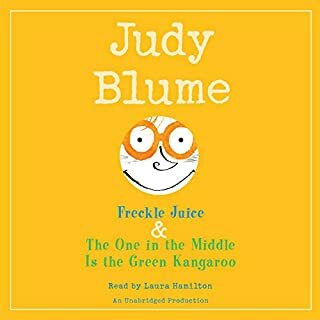 Fasten your seat belt because, as millions of Jude Blume fans know, it's going to be a wild ride! 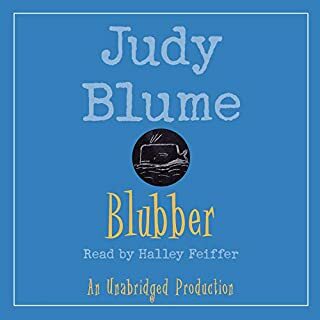 Explore our full list of Judy Blume titles. My seven year old has listened to this several times and continues to ask for it. It's a welcome change from the usual kid-approved radio shows. What made the experience of listening to Double Fudge the most enjoyable? We all listened to this on a cross-country road trip. The kids were mesmerized and it was a trip down memory lane for the adults. 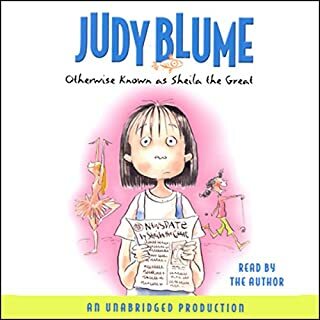 What about Judy Blume’s performance did you like? 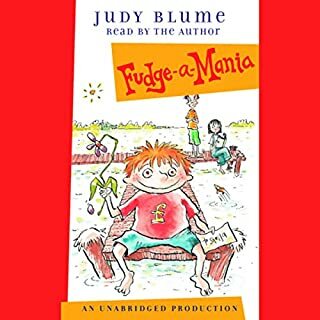 I was a fan of the Fudge books when I was in grade school, but I never knew there was a fourth installment until recently. When I discovered Audible had it I decided to use one of my last set of credits to buy it. Double Fodge opens with Farley Drexel Hatcher, better known as Fudge, asking how much it would cost to buy New York. This question is just the first sign of a major obsession with money and all things connected to it. 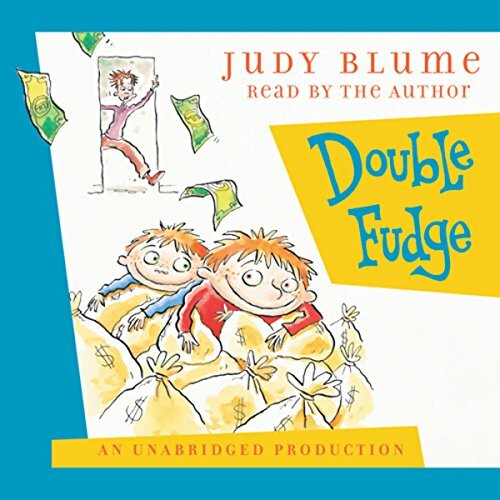 As time goes by the rest of the family begins to grow concerned about Fudge's unhealthy obsession, but they're at a loss for how to teach Fudge the truth about money. Finally Peter and Fudge's dad agrees to a suggestion from the boys' grandma to take Fudge to Washington D.C. to tour the Bureau of Engraving and Printing where money is printed. Far from curing Fudge's obsession this trip has just the opposite effect, ee causing him to go so far as to declare his intention to buy Washington, now renamed Fudgington. A sideeffect of the trip is the unexpected reunion with a family of long lost relatives, the Honolulu Hatchers. This family of five includes Warren Hatcher's cousin Howie, accompanied b his wife Udora, their twin daughters Flora and Fauna and their three-year-old son Farle Drexel also nicknamedFudge. This, of course, creates no small amount of friction between the two small boys. Things only become more chaotic when the Honolulu Hatchers, who didn't exactly endear themselves to Peter and his family, suddenly invite themselves to stay in the family's small apartment. This of course leads to a whole series of mishaps as the two Farley Drexels try to coexist and Peter and his parents try to cope with the rather uptight nature of their newly-discovered relations. Will everyone survive the visit with their sanity intact? You'll have to listen on to find out. very enjoyable book and performance for our whole family. funny and clever with a small sprinkle of education that made it enjoyable for mom as well as kids. my son loves Fudge- he named his bunny after Tootsie even. 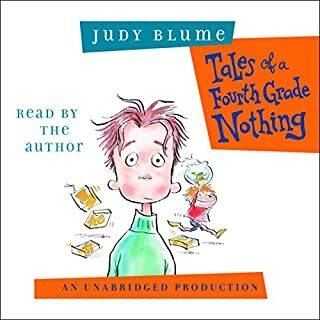 my kids (8 and 11) have each listened to this book at least 3 times each. This book is amazing and funny so I have it five stars and please make more fudge books! Double fudge is a miracle! My daughter listens to double fudge every night, it helps her anxiety a lot! 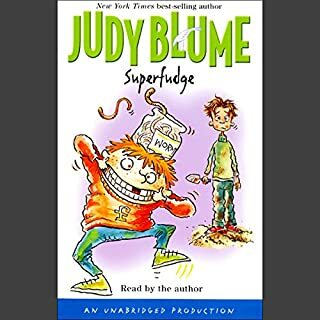 Even I read Judy Blume as a kid to help my anxiety. Overall this book was amazing. Interesting and captivating. Funny. I recommend this book. It has good voice acting as well as good, smooth writing.